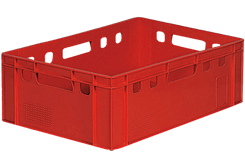 Nordcontenitori manufactures specific plastic containers for every intended use that can be easily integrated into the customer's logistics, storage and handling systems. Nordcontenitori plastic containers are made from polyethylene and/or polypropylene in accordance with strict international standards. This renders them robust and reliable tools that are capable of being integrated into the client's own supply and production chains. Specific solutions have been developed for every purpose, including containers for manufactured goods, electronics, pharmaceuticals, textiles, chemicals, and even food products. 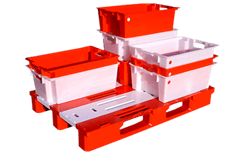 These units are capable of ensuring the best possible preservation of the merchandise, under any weather conditions, and can be fitted with convenient swivel wheels, airtight covers, dividers, handles, smooth and perforated bottoms, as well as various other accessories. 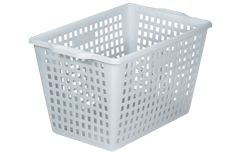 The plastic containers, in fact, are even capable of withstanding the most adverse weather conditions, with temperatures ranging from -40° to +80°, thus allowing them to be used in cold stores as well. 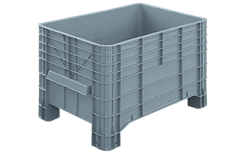 These modular, stackable and nestable containers provide for significant saving in terms of both cost and time, optimizing transport and storage operations for the pharmaceutical, chemical, textile, food processing, manufacturing, logistics, construction, large-scale retail and Ho.Re.Ca industries.